Dar Lighting Eunice single light table lamp features a circular base with adjustable stem and shade in grey finish and satin nickel detail. Double insulated and operated by an inline rocker switch located on the grey braided cable. This elegant design has three knuckle joints along the stem which allow this lamp to be adjusted, enabling you to direct the light where it is needed the most. 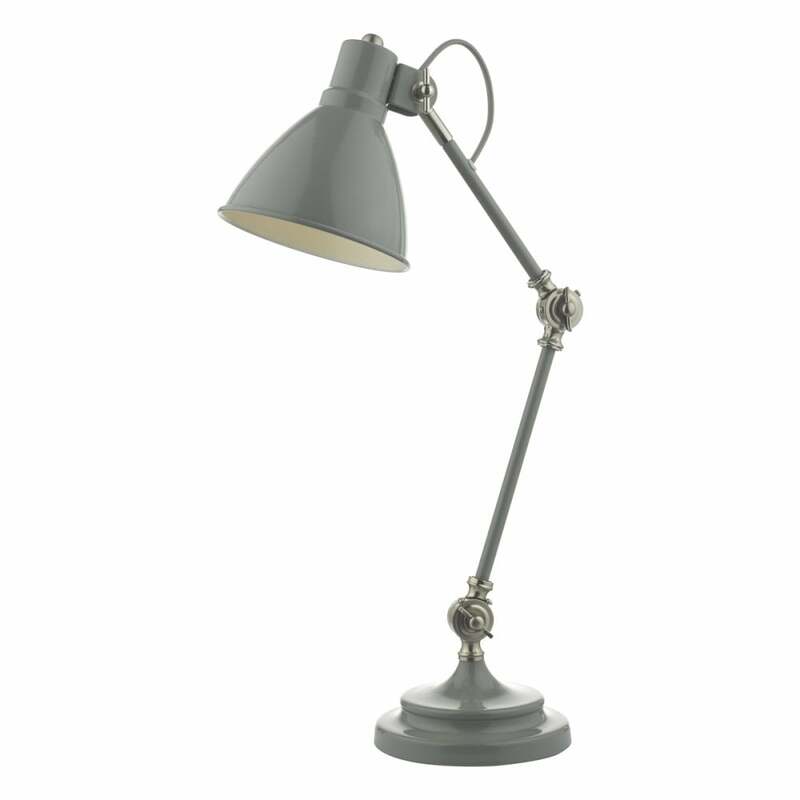 With a distinctive vintage look this table lamp will be perfect for both classic and modern spaces. This product code is EUN4239.